Amid all his Hall of Fame achievements, Tom Glavine also claimed some pitching history at Wrigley Field. Photo credit: 2 on a Whim Creations. This edition, final in a series of chats with newly-elected Hall of Famers, features an April 1997 interview with Braves lefty Tom Glavine taped at Wrigley Field. 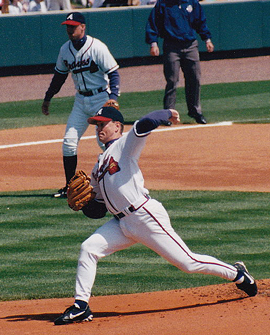 At the time, Glavine, 31, was part of the game’s greatest pitching Big Three along with Greg Maddux and John Smoltz. He thought he might pitch up to five more years. 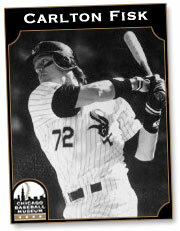 But Glavine went past his own projected expiration date to win his 300th game as a Met at Wrigley Field on Aug. 5, 2007. He became the only pitcher to win his 300th at Wrigley Field. Glavine finished his career with 305 victories in 2008 back with the Braves.